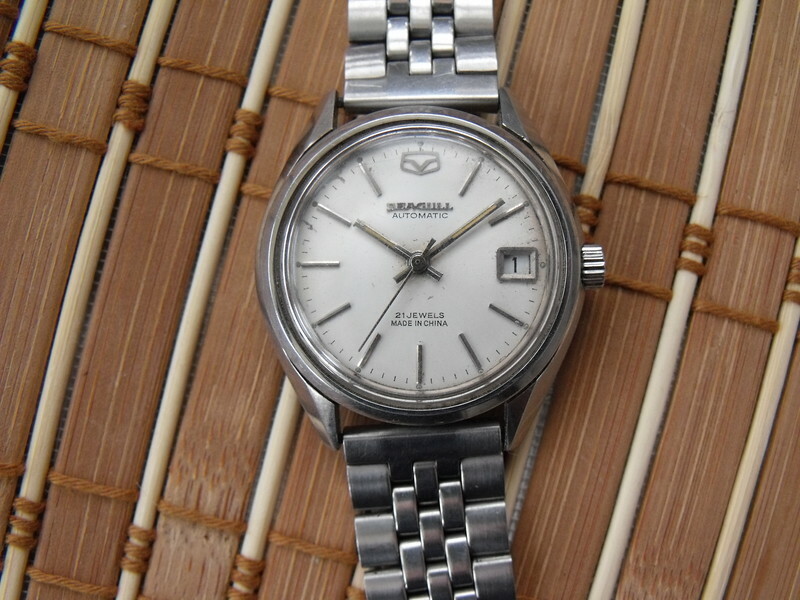 Sea-Gull brand watches often had ST5 or ST6 movements, but some appeared on the market with Swiss movements. It is unknown whether they left the factory this way or were assembled by someone else later. This one has an ETA 2878.